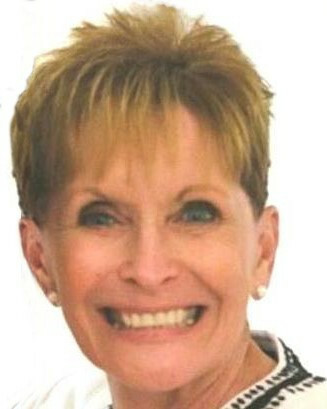 Looking to purchase a PA system or hotel banquet furniture? AmpliVox Sound Systems has many products that would be great additions to any banquet room or party hall. We make it easy to buy a lectern or buy a PA system by having an easy to navigate website and quality customer service support. Banquet halls are a great venue to host a party, wedding reception, corporate gathering, conference, or awards ceremony. Banquet rooms need to be stocked with supplies and equipment including tables, chairs, presentation technology, catering supplies, a banquet hall sound system, and an elegant lectern to give the hall a professional look and feel like a paradise. Using some of our products can help you save money and make money in the long run by having sound equipment in house instead of renting or hiring a professional DJ to cover the event. Pinnacle Multimedia Lectern: This elegant and virtually indestructible podium holds up under tough use and is great for presentations indoors or outdoors. new and improved version of our the full-size Pinnacle Podium is a versatile addition to a banquet hall. The Pinnacle has a Tabletop Version of this popular podium! That sounds good and all... but Will it Float? The Tabletop version of the Pinnacle Lectern and is a favorite among presenters! Traditional Acrylic Lectern: This stylish, yet simple acrylic lectern gives you everything you need with nothing you don’t. It has four clear rubber feet to protect the floor and carpet from scratching and features a shelf to hold your presentation materials or laser pointer. It also is easy to assemble! It was used by NFL Commissioner Roger Goodell at a Super Bowl Press Conference. Multimedia Smart Podium: This smart podium features a large workspace and offers many great storage options than other presentation podiums. The ST3430 and SW3430 models feature built-in sound systems and offer many different microphone options. The sound system can reach up to 1,500 people and ships fully assembled. 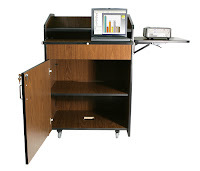 This presentation podium perfect for presenters using different types of technology or using PowerPoint. It features a slide out keyboard drawer and locking cabinet below to securely store and organize your different technologies. The collapsible shelf on the side is perfect for projectors and the dynamic microphone picks up a speaker's voice up to 18" away. Multimedia Presentation Plus Podium: This presentation podium perfect for presenters using different types of technology or using PowerPoint. It features a slide out keyboard drawer and locking cabinet below to securely store and organize your different technologies. The collapsible shelf on the side is perfect for projectors and the dynamic microphone picks up a speaker's voice up to 18" away. 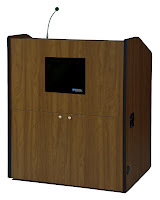 Chancellor Solid Wood Lectern with Sound System: This elegant lectern comes with a Dynamic “Hot” Microphone that picks up a presenters voice from up to 18” away from the microphone and rolls easily on four hidden casters. With four wood color choices and an optional 50-watt built-in sound system available, this is the professional look your banquet room needs. 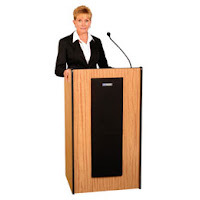 Presidential Plus Lectern: This lectern is another AmpliVox favorite that gives presenters a professional and stylish look. The 50-watt system will carry your voice over an audience size of up to 2,000 and room size of up to 20,000 square feet in optimal conditions. Ironically, this is not the AmpliVox product that Barack Obama has been caught using.